Duduk is an integral part of the cultural life and social identity of the Armenian people. For centuries, music performed on duduk accompanied all important events in the life of Armenians, including public holidays, celebrations, wedding and funeral rites. However recently, the duduk has acquired a new status, joining the category of a concert instruments and gaining a special place in academic culture. But it was not always so. For the first time, the duduk was used as an orchestral instrument in the Folk Instruments Orchestra, created at the beginning of the 20th century in Transcaucasus by Hovhannes Ionesian. Orchestral players played not by notes, but by ear. In 1931 the the orchestra started to play music by reading sheet music, however, because of absence of any textbooks or methods, the dudukists did not pay much attention to the musical notation. Over time, music schools began to introduce duduk classes. Later duduk classes opened in music colleges and conservatories. However, because of the limited range of traditional duduk, students mostly studied and played folk melodies during the learning process. For the same reason, scales and etudes were never used in the teaching methodology. 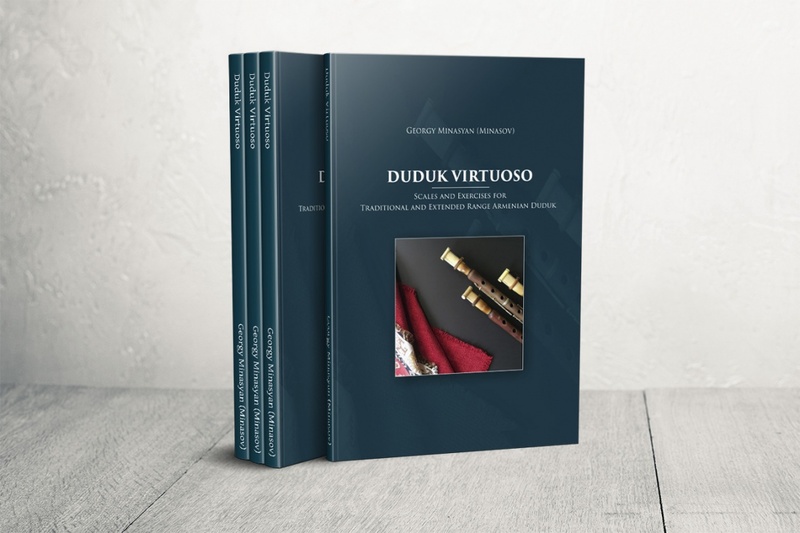 While “Duduk Virtuoso” is written mostly for an extended-range duduk, some scales are possible to perform on the traditional instrument as well. The repertoire for the traditional duduk is limited due to its short range (mainly Armenian folk music). With the advent of an extended-range duduk, duduk repertoire significantly increased to include works from various musical styles, ranging from classical to jazz. Today, musicians can perform works of Vivaldi, Bach, Mozart, Rachmaninov, Gershwin, Gluck on duduk, as well as pieces by Armenian composers Khachaturian, Spendiarov, Komitas, Narekatsi, Shnorali, Ekmalyan, Harutyunyan. Developing and improving the educational and methodological process of the instrument. The educational-methodical complex is designed both for training on both the traditional, and extended range duduk. Visit book page to learn more about what’s inside or purchase it on Amazon.com.